I photographed this cheesecake one year ago and since then have made it four times, but not had the decency to share it with you. It’s been requested for two birthdays and brought in one of the highest bids at a scout fundraiser. 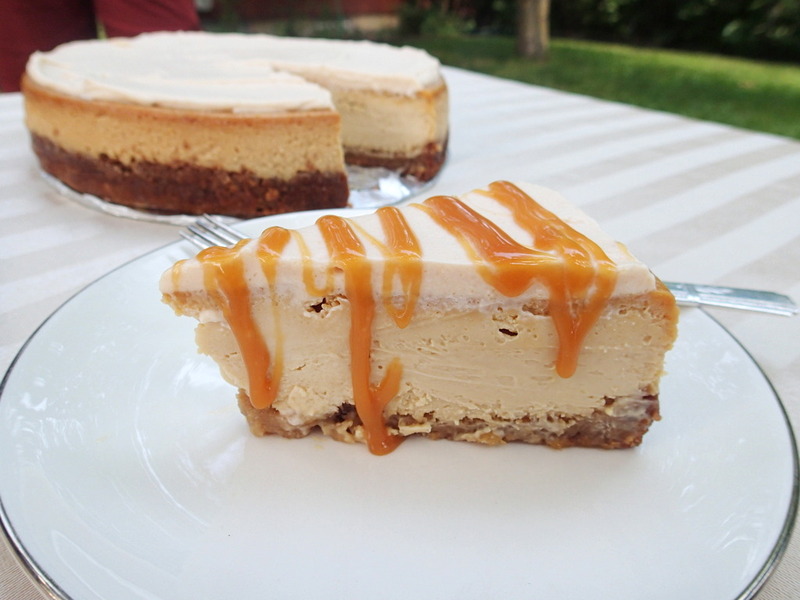 Even when the salted caramel craze dies, I’m pretty sure this cheesecake will still be around. It’s just that good. About a year ago, we went on a trip to our local cheesecake factory to do some reconnaissance. They were just debuting their own salted caramel cheesecake and it was the unanimous favorite for both us and the kids. 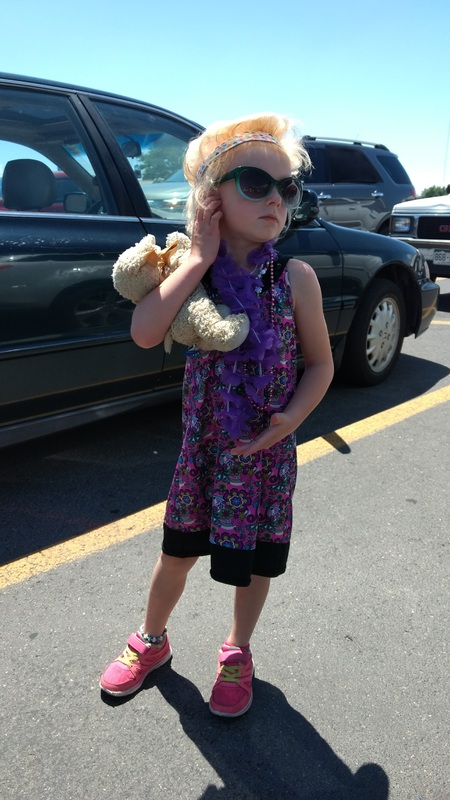 Now, I love cheesecake factory, but their style is the the cheesecake version of how my five-year-old accessorizes. They have a tendency to go overboard with their recipes and I often feel like there’s a little too much going on. So, when we created our version we edited it ever so slightly to make it a little less showy and a little more classy. Since National Cheesecake day is coming up (July 30th! ), I figured it was about time to share this culinary gem with the world. A caramel cheesecake with a blonde brownie crust studded with pecans, topped with salted caramel mousse and finished with a drizzle of salted caramel. Place sugar in a medium heavy saucepan. Heat over medium-high heat and whisk as it melts. It may start to clump together but this is fine, keep whisking and it will melt back down eventually. Once all the sugar has melted, stop whisking and continue to cook. Swirl the pan occasionally to stop it from burning. Continue to cook sugar until it turns amber in color, be careful not to leave it on the burner too long once it starts to darken in color. It can burn easily at this stage. Remove from heat and add butter immediately to the pan (take care as it may bubble), whisking it to combine. Add cream to the pan and whisk until combined. Set aside to cool, then add sea salt flakes to taste. Cream coconut oil with sugar in mixer. Add egg and vanilla. Mix in remaining ingredients, then spread in the bottom of the pan. Bake for 20-25 minutes or until it just starts to turn golden. The crust won’t be cooked all the way through. Reduce oven temperature to 325° F. Mix the cream cheese, brown sugar, vanilla, salt, and flavor at low speed until smooth, scraping the bottom and sides of the bowl. Add the eggs one at a time, scraping the bowl between additions. Stir in the caramel sauce and cream. Pour the filling into the crust. If using a water bath, put your cheesecake pan inside a larger pan and fill the outer pan with water until it goes halfway up the side of your cheesecake pan. (See note for my current thoughts on water baths.) Bake for 60-80 minutes. A good visual guide is until the edges of the cake are set and only about 2" in the center jiggle when the cake is gently shaken. Turn off the oven, crack the door (I put a thick handles dough whisk in the door), and let the cake cool in the oven for 1 hour. Remove from oven and put in the fridge until thoroughly chilled. Mix gelatin and cold water in a small bowl and set aside to soften for about a minute, then whisk into the warm salted caramel mixture until gelatin is completely dissolved. Place cream in a large mixing bowl and whisk with an electric mixer on high until it reaches stiff peaks. Add salted caramel mixture to the bowl and gently fold in until combined. Spread mousse on top of cheesecake. 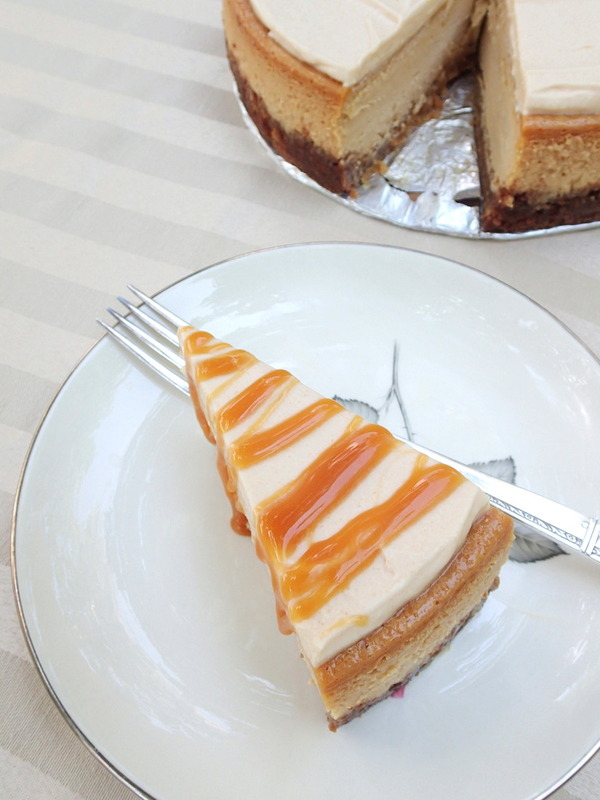 Slice and drizzle with caramel. Water baths and I are having a little bit of a fight lately. I like what water baths can do for the outward appearance of a cheesecake - it makes it smooth and flawless, never a crack in sight. BUT, I actually prefer the texture of cheesecake not cooked in a water bath since it has a little more structural integrity to it - a firmer crust, a more solid cake. It could be a fault of my springform pan not being leakproof, so I'm experimenting to see if I can get the best of both worlds, but in the meantime, if water baths scare you skip it on this cheesecake since the mousse will cover up any unwieldy cracks. Yes, I used the same caramel. There will be a little leftover after the cake and the mousse. Sometimes I double the caramel portion if I want a lot for drizzling. Enjoy! How does the mousse hold up when it’s not served right away? Say this is made for a bake sale? 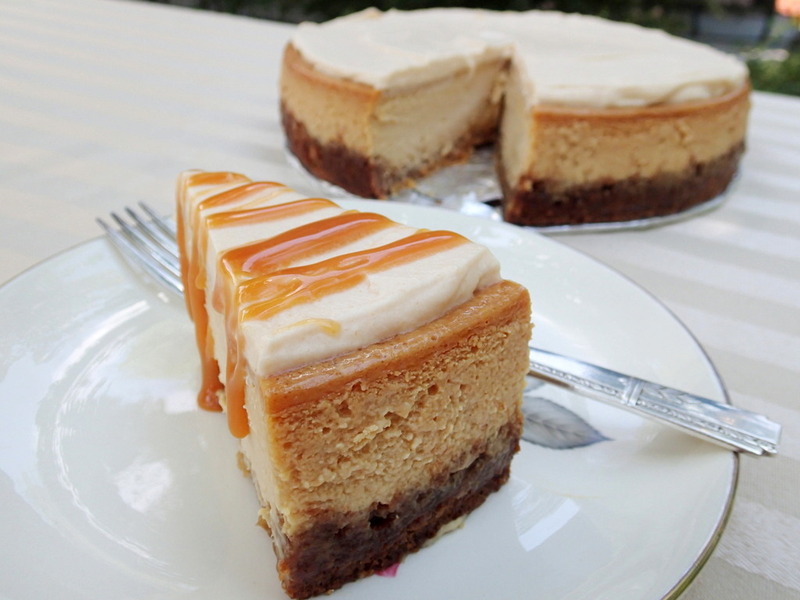 What size springform tin did you use for the salted caramel cheesecake . Our Springform is 9.” You can still make it in a smaller pan, like an 8″ (just make sure not to overfill) or a larger pan, but the cheesecake will be a little thinner.